If you live in Indonesia (Bali, Jakarta, etc), you probably feel frustrated by the lack of options available to watch sports, and especially football. You can forget national TV channels. Some, such as RCTI, TransTV, and TVOne, will broadcast important events like the World Cup or the English Premier League. Yet, the image quality is often low and the commentaries are in Indonesian. Also, they won't hesitate to cut a few minutes of a game just to show commercials. Even when you subscribe to a cable TV network with additional sports channels like Fox Sports or Bein Sports, you will have a limited number of sports and games available. Fortunately, thanks to the internet, there are now several ways to watch online an almost unlimited number of sporting events all over the world. In this article, I will give you a breakdown of the best ones, starting with my favorite. Note that all the websites mentioned below work all over Asia (Singapore, Thailand, Vietnam, Hong Kong, Malaysia, Philippines, etc) and not only in Indonesia. To put it simply: If watching football/sports is worth 70$/year to you, then don't look any further and subscribe to this site. 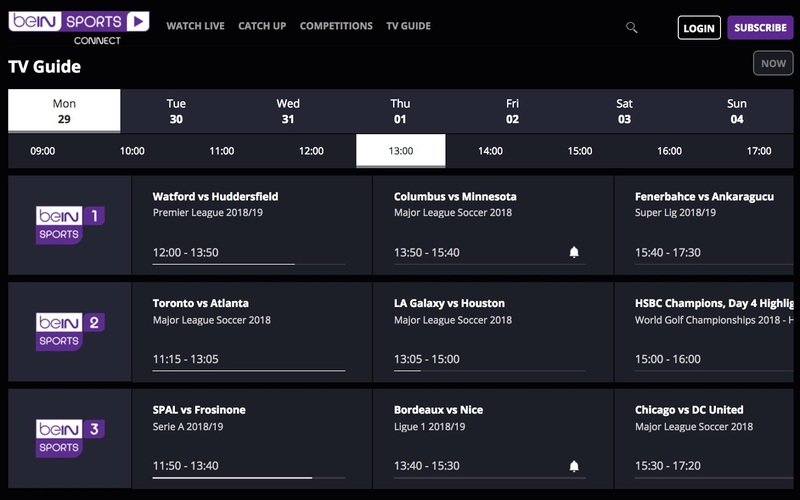 B-C-E TV allows you to stream online over 100 sports channels from all over the world, including Bein Sports, Fox Sports, Sky Sports, Setanta, Eurosport, WWE Network, and many, many more. Just check this link to see all the channels available: Live TV B-C-E. As you can see, you have channels from just about every country, from Brazil to Poland, and in every language (English, Arabic, Italian, Spanish, etc). As a French, it allows me to watch French channels like Canal + or Bein Sports France. Only those will broadcast sports like Handball, Judo, and events like the Rugby Top 14. Without B-C-E, it would be almost impossible to do so. The service is only available with an internet connection on your mobile, tablet, PC, Mac, or smart TV. If your TV doesn't have internet, you can just connect it to your laptop with an HDMI cable. - Join for free and get a limited number of channels with standard image quality. - Become a paying member and get all the channels with UltraHD quality. The price starts at 15$ for a month or 70$ for one year. 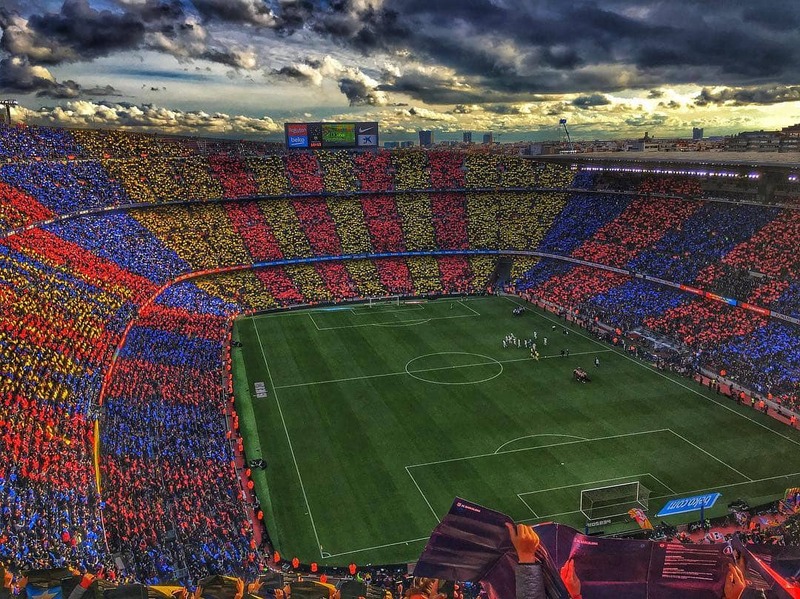 - Every sport and league available: Football (EPL, La Liga, Serie A, Ligue 1, Bundesliga), NFL, NBA, NHL, Rugby, AFL, Formula 1, Moto GP, Tennis, Cricket, MLB, etc. - Every event: Super Bowl, UEFA Europan Championship, UEFA Champion's League, FIFA World Cup, Olympic Games, etc. - Easy to use and to subscribe. To subscribe or to make a free trial, click here. For a while, before I discovered B-C-E, I was subscribing to Bein Sports Connect, which is rather cheap (5$ per month) and allows you to watch a good selection of games, especially football (English Premier League, La Liga, Serie A, Bundesliga, UEFA Champion's League, Fifa World Cup, etc). In total, they have 11 channels, but not all of them are active at all time. You can also watch replays, which is very useful in Indonesia (and Asia in general) since games are often too late at night. I was in Bali during the last World Cup and I was just watching games in the morning instead of waking up at 2AM. Another feature I like is that you can just a one-day pass for IDR10,000, ideal if you are interested only with one specific event. - Bein Sports Connect owns the right to many prestigious competitions: EPL, La Liga, Ligue 1, Tennis Davis Cup, Golf PGA Tours, Major League Soccer, World Rally Championship, Premier Boxing Champions, etc. - Payment possible with a credit card, but also with Go-Pay, Telkomsel, Indosat, Indonesian bank transfer, Alfamart, Indomaret, etc. - It can be accessed without a VPN. Warning: This streaming site is currently not available in Indonesia, but you can still access it if you use a VPN (read about the best VPN in Indonesia here). This online service is a bit more expensive, with prices starting at 45$ per month to get access to over 100 channels (see the full list here). Its main market is the US, with sports like Baseball (MLB), American Football (NFL), Soccer (MLS), Basketball (NBA). It also has channels focusing on college games. 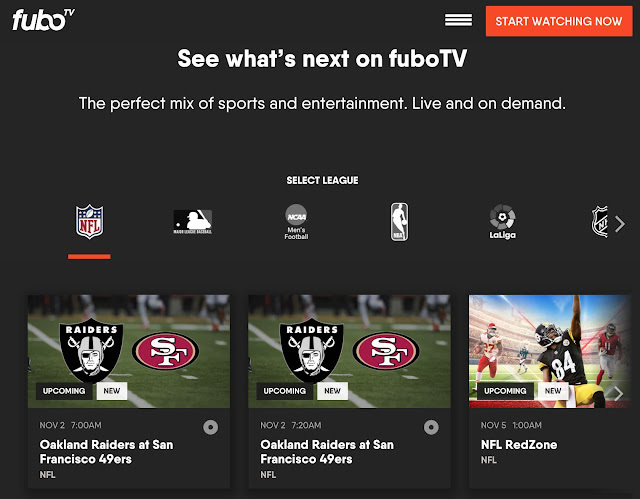 FuboTV also features news and entertainment channels like Fox, NBC, CNN, AMC, etc. - Available only if you use a VPN that you connect to an American server. Other Options for Watching Sports Online in Indonesia? If you use another service to watch sports in Indonesia that I am not aware of, please let me know in the comment section below. 1 comment to '' How to Watch Live Sports in Indonesia? Best Streaming Sites "